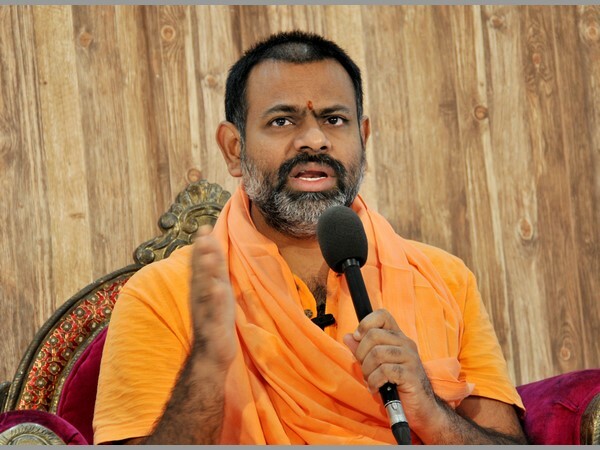 Hyderabad police have imposed ban on Swamy Paripoornananda. Reportedly, he has been externed from the city for six months. Cops have moved Swamy in a special vehicle out of city. Apparently, he will be taken to his ashram in Kakinada. Swamy Paripoornananda sought police permission to protest against attacks on Hinduism in the wake of Kathi Mahesh making comments on Lord Shri Ram. The film critic also have been externed from Hyderabad for six months for that. He is currently in police custody in Chittoor. Police have given legal notices to Swamy Paripoornananda questioning him about his inflammatory speeches during launch of his Rashtriya Hindu Sangh(RHS) last year. As Swamy failed to respond on the notice, Police had to impose ban on him. On the other hand, there is buzz that BJP is fielding Swamy to defeat TRS. Speculations are rife that he will be contesting from Secunderabad and so Telangana government is believed to be conspiring against him. Previous articleఅర‌వగోల‌.. స‌ర్కార్ పై ఇది టూమ‌చ్..!